Invicta Fighting Championships capped off a stellar night of fights with an action-packed main event title bout tonight in Kansas City, Missouri. 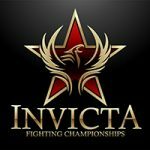 In the Invicta FC 19 main event, Jennifer Maia outpointed Roxanne “The Happy Warrior” Modafferi to become Invicta FC Undisputed Flyweight Champion. Maia and Modafferi each took home an additional $1500 for Fight of the Night honours. Bantamweight contender Irene Aldana and atomweight prospect Julia “Jewels” Jones both earned $1000 Performance of the Night bonuses for stoppage wins in their featured bouts on tonight’s card. Maia’s (14-4-1) victory did not come easily tonight, but she did enough to take a narrow Split Decision win over Modafferi (19-13-0) after five back-and-forth rounds. Maia took an early lead on the scorecards by landing hard knees late in round one, but Modafferi controlled rounds two and three with takedowns and armbar attempts. She fatigued in the championship rounds, however, and Maia battered her with punches from a top-side crucifix on the ground and kick-punch combos on the feet. While one judge saw the fight 48-47 for Modafferi, the remaining two had it 48-47 and 49-46 for Maia, whose interim title belt was converted into the undisputed flyweight championship. Modafferi’s excellent showing in defeat no doubt contributed to the main event bout being named Fight of the Night. Potentially securing herself a bantamweight title rematch, Aldana (7-2-0) overcame a shaky start tonight and finished Faith “The Immortal” Van Duin (6-3-0) late in the first round. Van Duin dashed at Aldana and knocked her off-balance with punches right away, but Aldana recovered and she dropped Van Duin on two occasions with right hooks and uppercuts. Van Duin was unable to get back to her feet after the second knockdown and Aldana finished her off with ground and pound at the 4:57 mark of round one. Jones (5-0-0) kept her undefeated record intact with a quick and one-sided submission victory over Stephanie “The Scrapper” Skinner (4-6-0). Jones fought off an armbar attempt after Skinner fell to the ground in the opening 90 seconds. From the top, she moved to mount and dropped elbows until Skinner was forced to roll over and give up her back. Jones locked on a rear-naked choke and Skinner had no choice but to tap out at the 2:38 mark of the opening round.